My weekend mornings start with a cup of tea and a couple of French magazines. I call it my language practice, but there are other reasons I prefer French Marie-Claire and Elle to their US equivalents–more articles on diverse topics, in-depth interviews, and better fashion coverage. 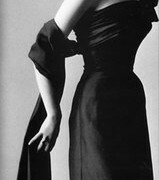 They feature much more on perfume, besides the usual sponsored ads and token mentions of the advertisers’ products. Thanks to French Marie-Claire, I’ve rediscovered Shiseido Zen and fell in love with a delightful orange blossom cologne Bien-être L’Eau Parfumée des Familles. With the holiday season approaching, the glossy pages are splashed with tempting perfume gift ideas, and today I wanted to share with you a few of them. I love the idea of a scented present that includes several fragrances to try, but in some cases I also wanted to highlight a few interesting products that are presented exclusively for the holidays. While I’ve collected some of the ideas from my dog-eared issues of French Marie-Claire, Vogue and Elle, I featured the sets that can be easily found in the US as well as Europe. 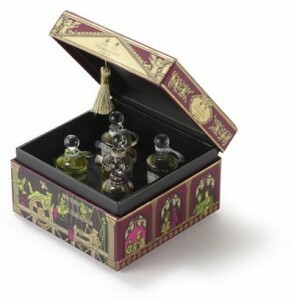 Penhaligon’s website includes more gift ideas, both for perfume and for body products. 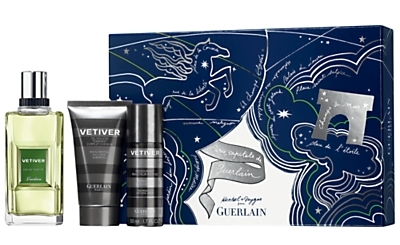 For women, Guerlain offers sets of La Petite Robe Noire, Insolence, Idylle, Shalimar Parfum Initial, and L’Instant de Guerlain (eau de parfum 50ml, purse spray 15ml). Violet Blonde easily goes from morning to evening and that has enough sensuality to play up its refined green violet aura. 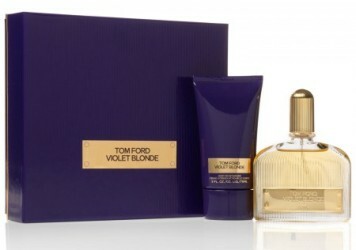 The Tom Ford Violet Blonde collection includes an Eau de Parfum (1.7 oz.) and Body Moisturizer (5 oz.). A perfect gift for someone who likes understated, elegant florals. Available at Neiman Marcus, Bergdorf Goodman and Tom Ford boutiques. $105.00 Tom Ford for Men, Grey Vetiver, and Black Orchid are also offered as gift sets. Have you seen any interesting gift ideas in stores? What is on your wishlist this holiday season? Ursula: I have that Shu palette and it’s fabulous (although the two glitters might make it less wearable than you think…). Tracy: Hi – yes, I have enjoyed Zen for many years now. Chanel has really good skin care products also, tho expensive, especially the face serum. My skin has never looked better! Am thinking of trying your spicy cranberry chutney this year! Victoria: I wish you a safe trip! A day before Thanksgiving is the heaviest travel date in the States, so I can sympathize. Hope that you reach your destination quickly. Victoria: Glad that you liked it! I am ignoring them all for I am resolved that my Xmas present to myself will be a Le Labo 15 ml bottle of Rose 31, plus a few samples. Yay for 15 ml bottles! Andrea: Neimans and is having their “scent event” right now; spend $85 and get a cute clutch loaded with great samples. 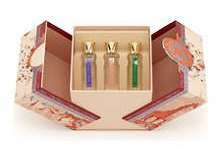 I purchased Eaudemoiselle gift set with the moisture spray and EDT. I already own the Moisture spray, but think I may run out soon! 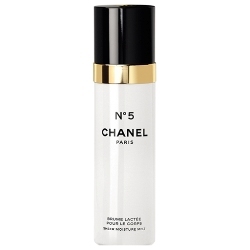 It is lovely, a veil of milky lotion which quickly melts into skin, leaving softly spicy rose. I also qualified for a 4ml (or was it 8?) mini of the same… My husband was admiring my gorgeously scented skin today, so I informed him that he also just bought me the gift set for Xmas. Timing is everything! 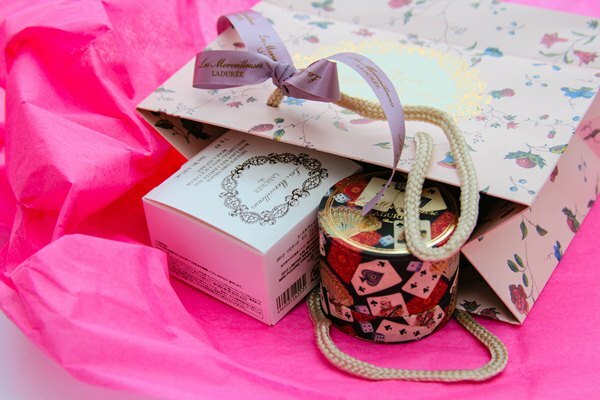 nozknoz: Great ideas – that Penhaligons set is adorable! nozknoz: I know what you mean, Victoria: it’s bad enough to be tempted by perfumes in the $200 to $350 dollar range, but over $600 is just insane! 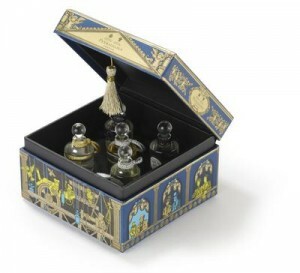 Ines: I adore the look of the Penhaligon’s set! 🙂 That is just so cute. Victoria: Isn’t it! I would keep the box for something else if I ever got this set as a gift.